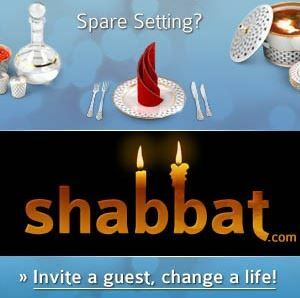 Shabbat.com was established as a Jewish social network to allow people to connect and meet in a safe and friendly environment. Perfect for those traveling for business, backpacking across the country, studying abroad, or simply looking for a little inspiration. Shabbat.com is also a great way to network in your profession, meet people, make lifelong friends and expand your social horizons. Find a Shabbos host anywhere around the world. At the Selechnik Shabbos Yeshiva you will find a diverse group of post-seminary women of all different ages and backgrounds coming together to enjoy an atmosphere of physical and spiritual enjoyment. Enjoy thought-provoking shiurim, heartfelt singing, homemade food and new friendships.